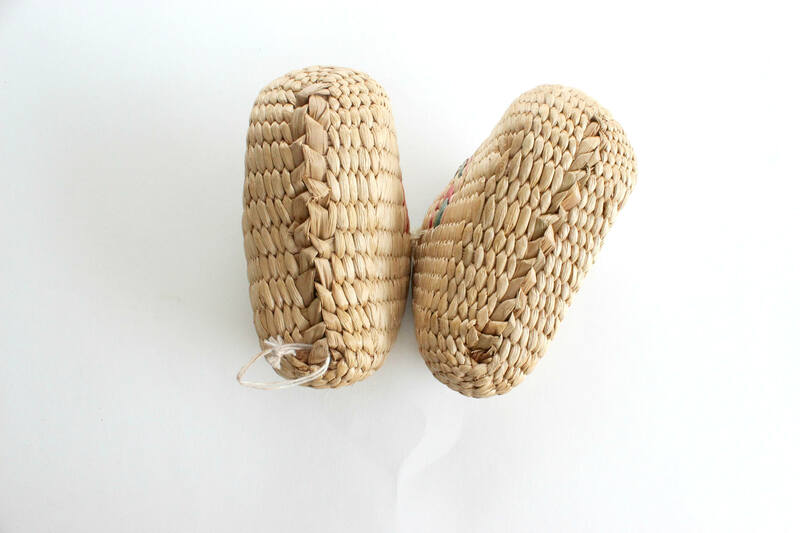 Vintage woven wicker baby shoes. 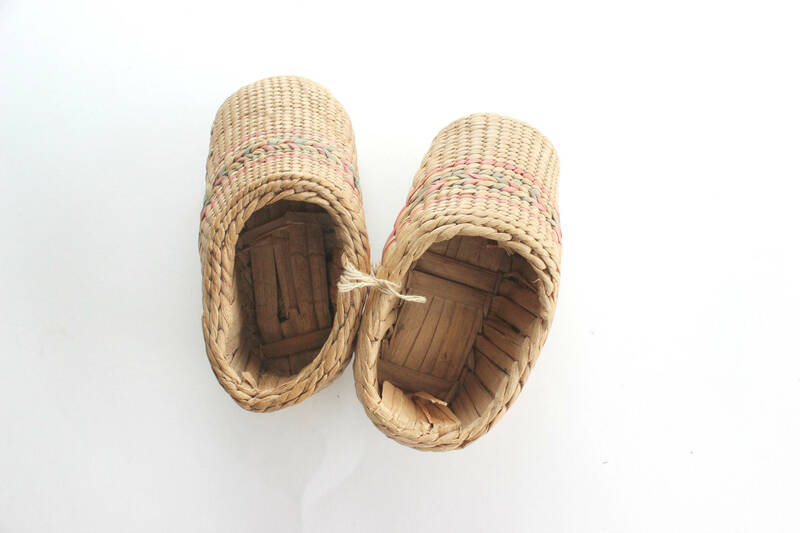 Decorative shoes for hanging or displaying on a shelf. Shoes are attached and one of the shoes has a string for hanging. Good vintage/used condition. 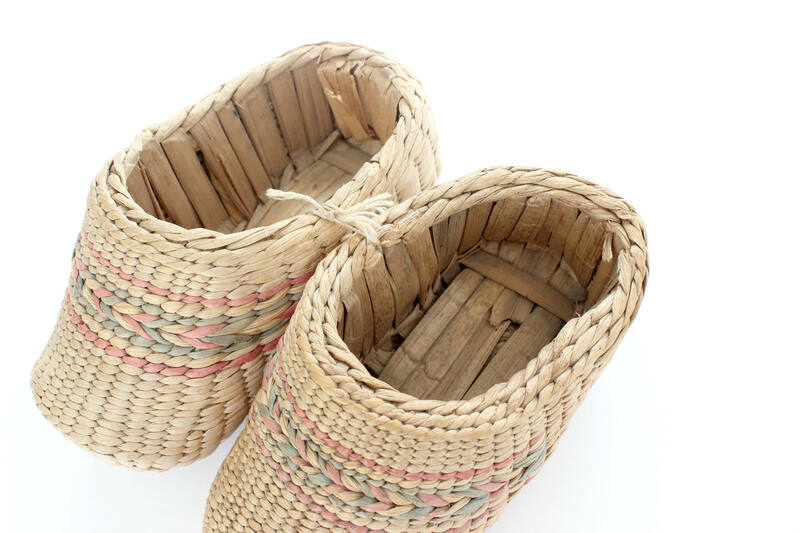 There are a few loose and broken pieces of wicker but in general the condition is very good. Each shoe measures 6 inches long and 3 inches wide. 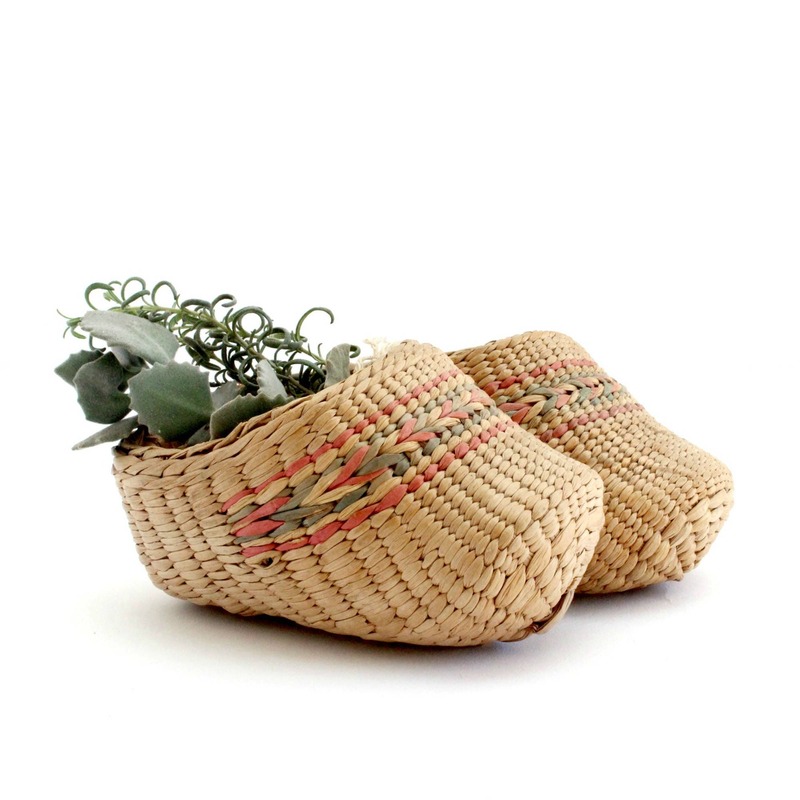 Perfect for holding little trinkets or a small plant!